So, I recently had a bit of a spending spree to make my wardrobe winter worthy. A lot of the knits I bought last year are now too big for me, so was in a desperate need of some more clothes. However it has come to my attention that I really need to have a proper clear out of my cupboard. I am really ashamed of what I am about to share with you…. Not surprisingly I can never find anything and have now got into the habit of piling newly washed clothes on top of whatever is littering the bottom. It is filled with studded skater belts from when I was in my teen and clothes that I haven’t been able to fit into since I started losing weight 3 years ago! I literally pulled everything it out and sorted my clothes into 5 piles; bin, charity, sell, summer and winter. 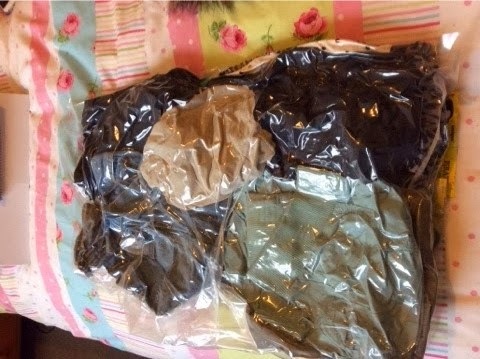 All the clothes I deemed summer went into a vacuum bag that I bought cheaply online, so I could easily store it away. 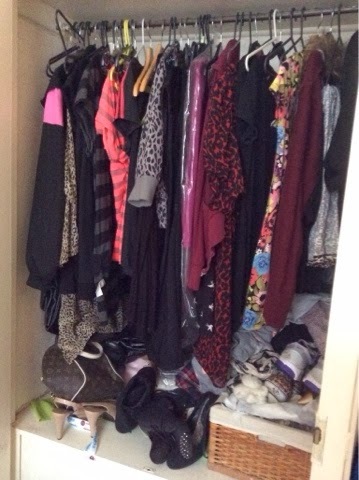 The bin pile was stuff that was not fit for purpose – tops with hair dye on them or things with broken zips. The charity pile was bits that others might find useful, and the sell pile was bits I thought that I could pop on eBay. I sorted through all my bags and purses, and they now have taken residence in my bottom drawer and all my shoes are now neatly in my top drawer. 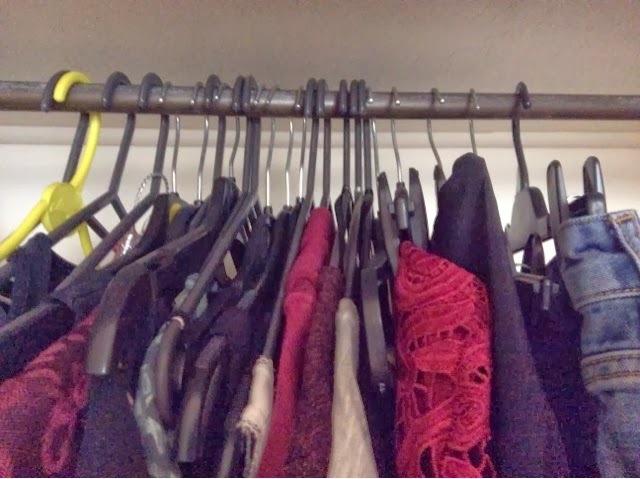 There is now enough room for all my clothes to hang and to help me with my summer clear out I have put all my hangers the wrong way round, that way I will know if there are any clothes that I haven’t used that can go straight on eBay or the charity shop! My wardrobe now looks like this! 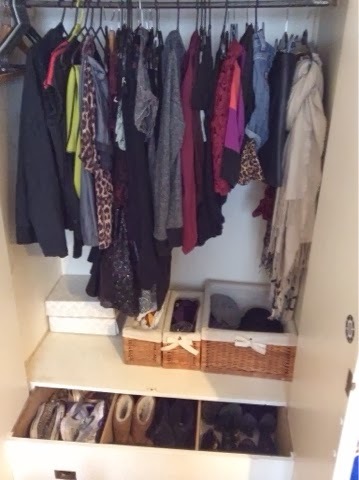 How often do you clear out your cupboard, or do you find it hard to part with your clothes?